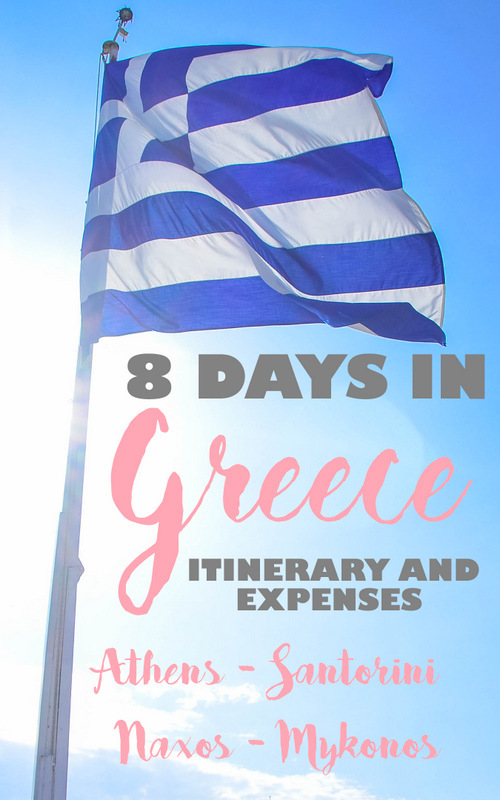 Let's cap off our Big Fat Greek Holiday series with a blog post I know a lot have been waiting for! 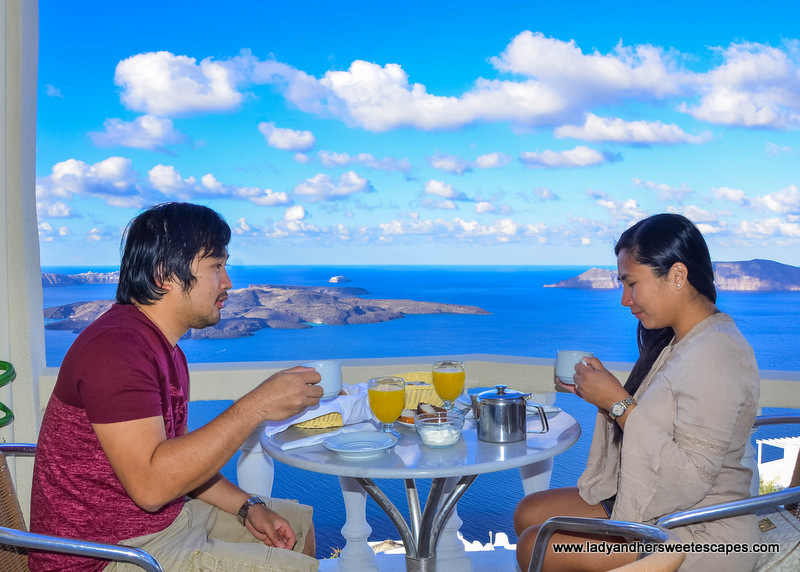 Whenever Ed and I travel, we often receive inquiries on our travel itinerary and expenses. 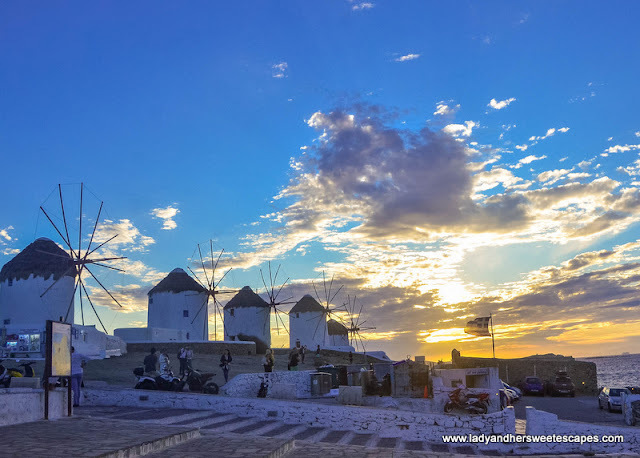 Although I personally think that all these would depend on your travel style, and our choice of accommodation and activities may not be for everyone, we are always happy to share what we experienced. As I often say, you can consider this blog post as a guide. 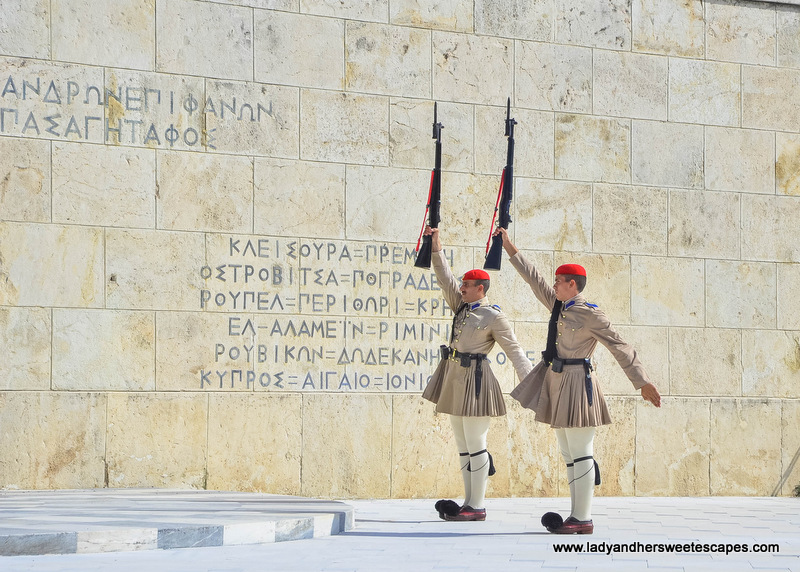 Take whatever you think is helpful for you and include it in your self-made itinerary! 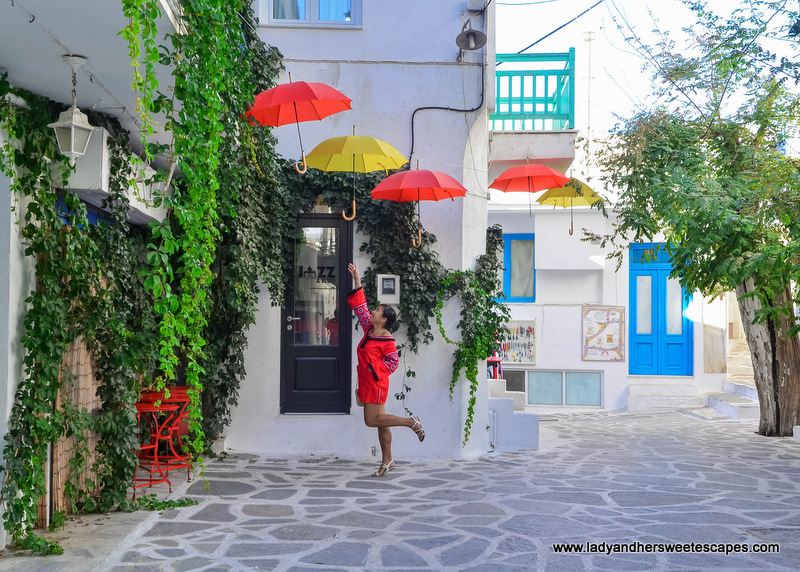 So, without further ado, here's how we spent our days in Athens, Santorini, Naxos, and Mykonos! This includes visa fees, travel insurance, air tickets and ferry tickets. 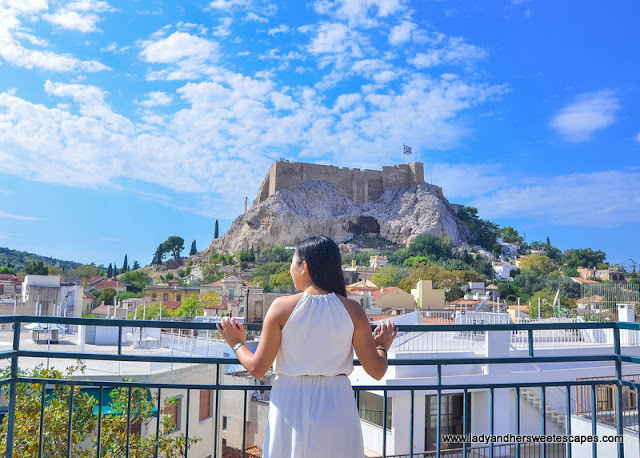 We stayed in boutique hotels (small yet stylish hotels), except during our last day wherein we have to stay at Holiday Inn Athens Attica as it is the most convenient for our morning flight. Ed and I love to eat. Our 8-day food budget of less than 400 EUR was already sufficient for 1 full meal, 1 light meal, snack, and coffee break per day. Extras are the activities like Zulu Bungy, Acropolis tickets, souvenirs, and whatnots. 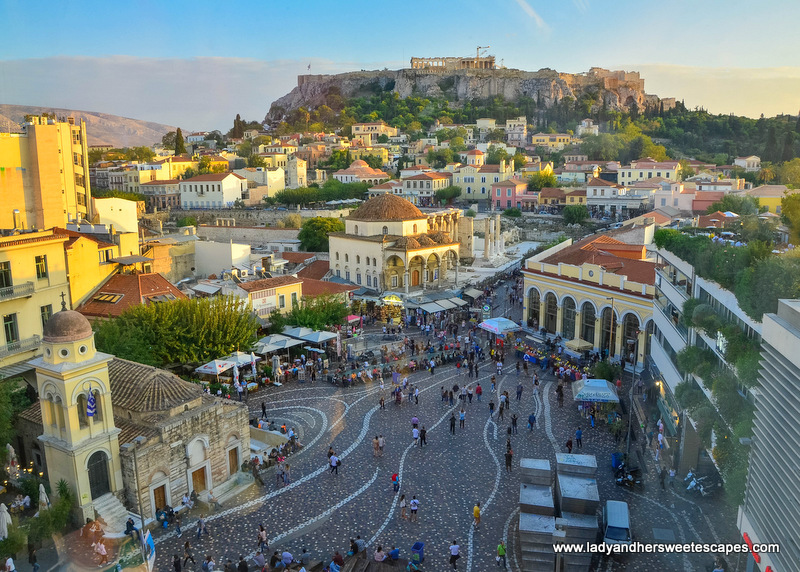 Start your Greek Holiday in one of the oldest cities in the world - Athens! 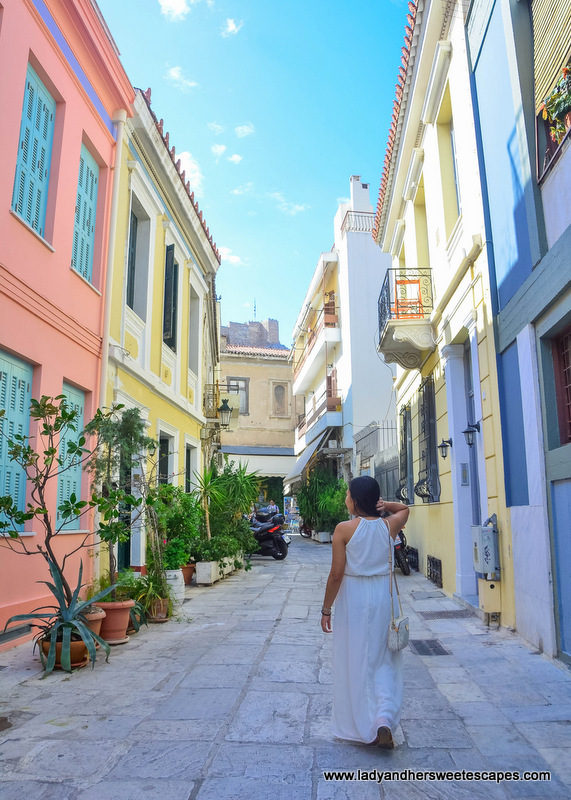 We devoted a lot of time aimlessly wandering in villages at the foot of the Acropolis. And of course, we visited the Acropolis on Day #1. Day 2: Jam-packed adventure day! When taking a taxi, it is best to ask the hotel receptionist to book it for you to avoid mishaps, especially with the fare! Do a weather check before you go! The facility is closed during bad weather condition. Note: This is an uphill walk! 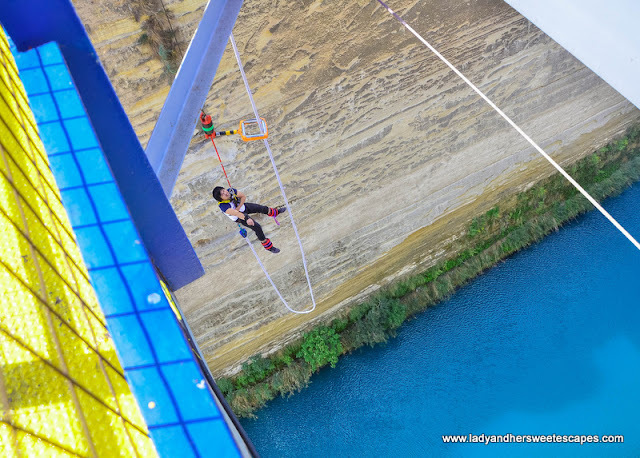 For thrill-seekers like Ed, why don't you bungy jump in Corinth Canal! Want to know more about Athens? 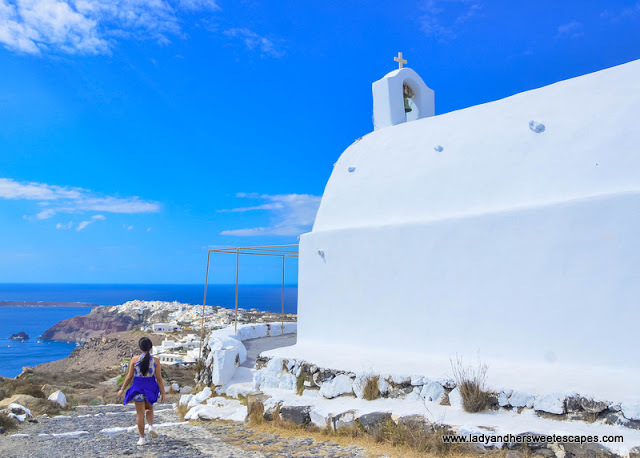 We endured a 4-hour hike to Oia! Tiring yet the most memorable activity we had in Santorini! Amoudi Bay: Where we had a delicious seafood lunch after the hike. 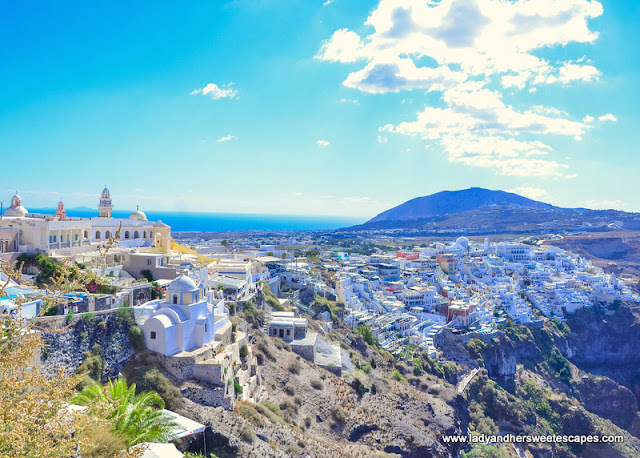 Santorini is picturesque even from the donkey trail! 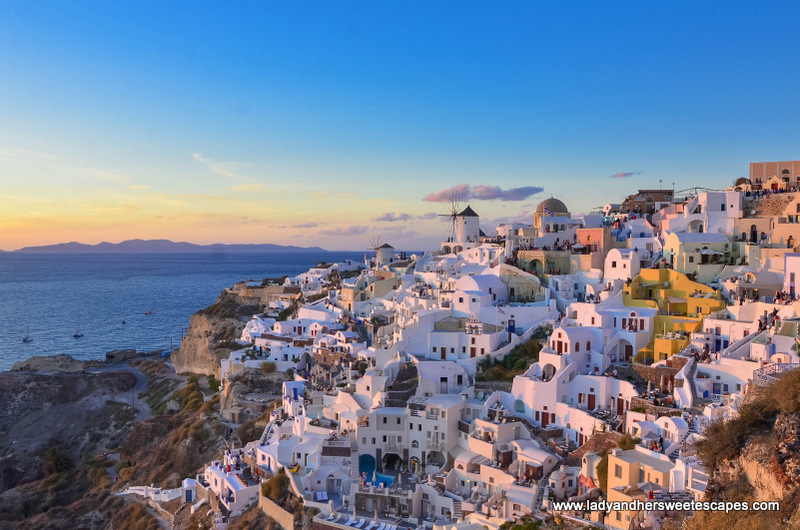 And here's the popular Santorini sunset! 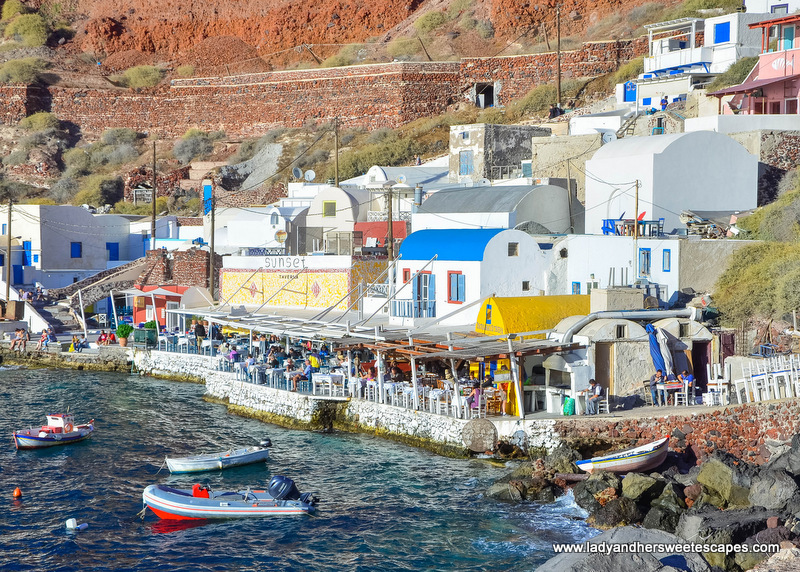 We were supposed to visit the Red Beach in Akrotiri but it was too cold for a swim. 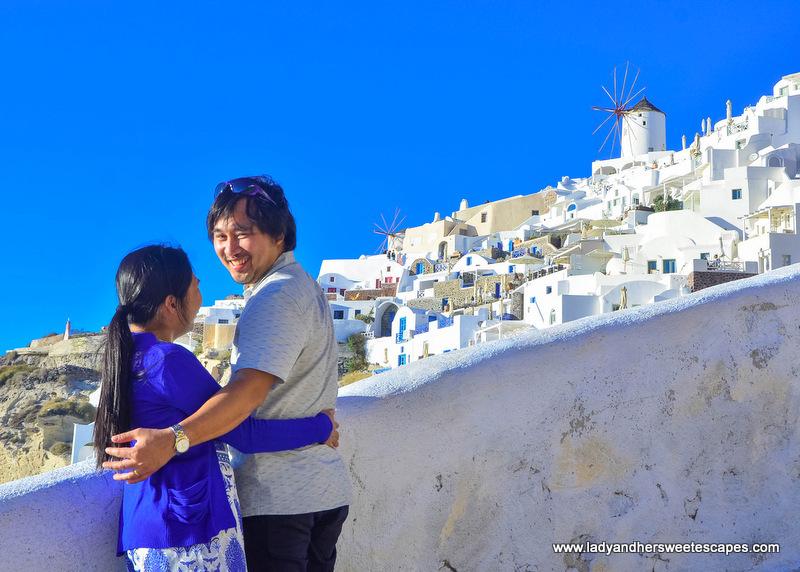 So, we decided to go back to Oia! Fira: the capital and commercial center of the island. 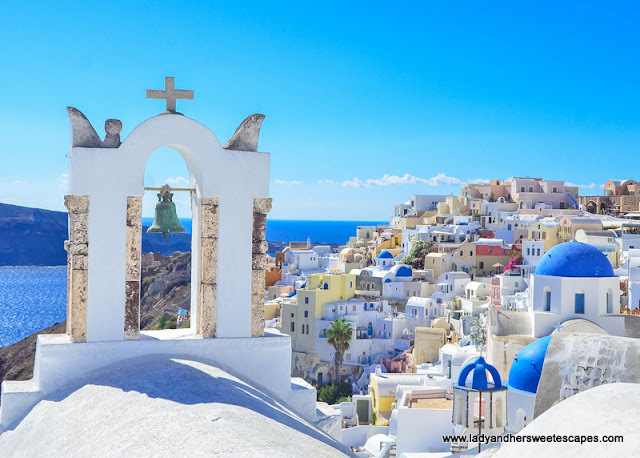 Want to know more about Santorini? 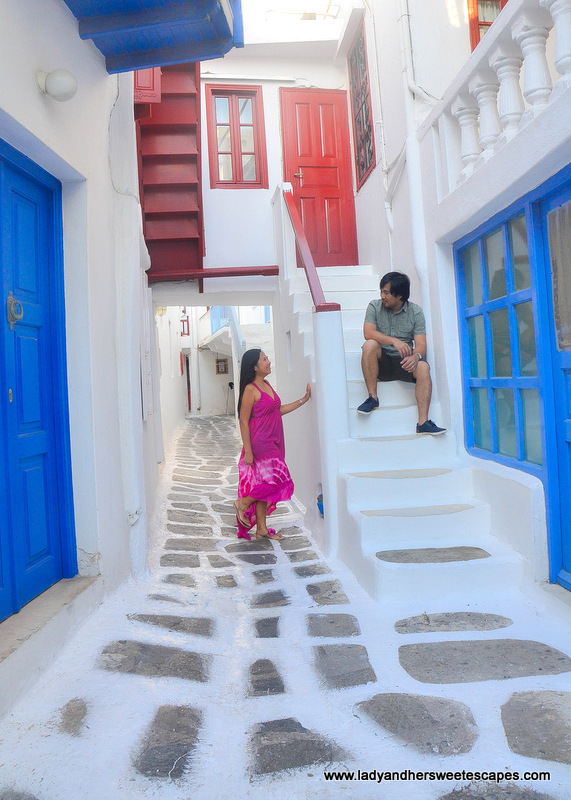 READ: Santorini on a budget: Is it possible? Day 5: Escape to Naxos! We loved our time in this less popular island! 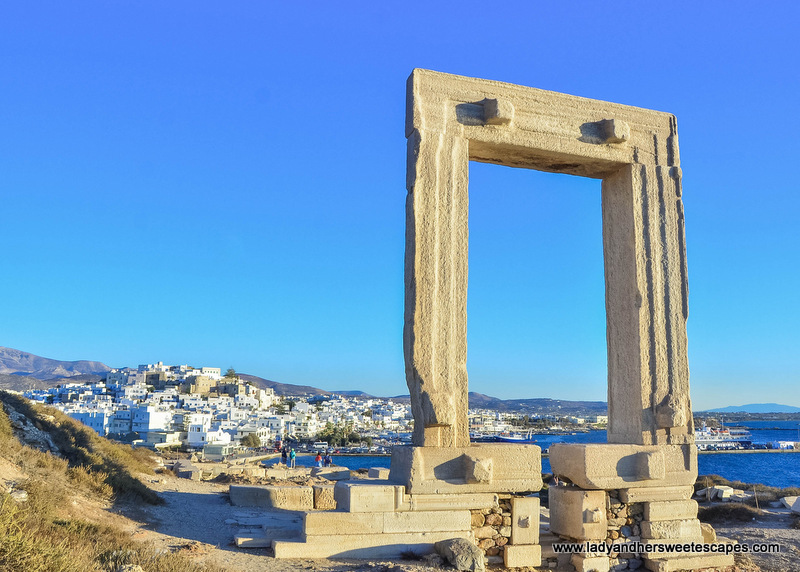 Want to know more about Naxos? 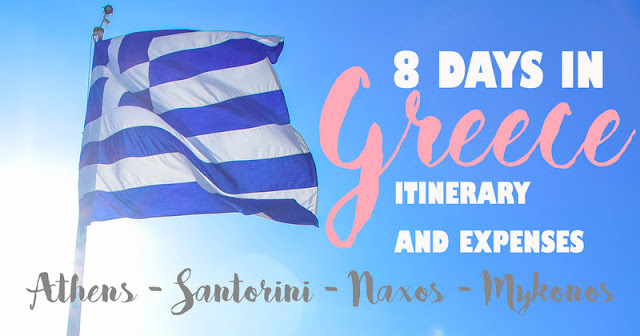 Day 6: Off to Mykonos! Alternatively, this free time can be spent at a popular party beach such as Paradise and Super Paradise. 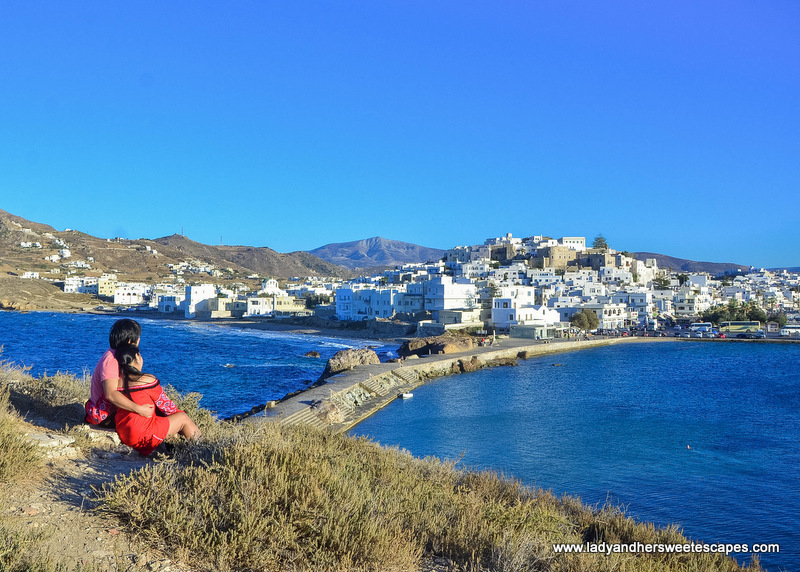 Mykonos is known to be a party island, but it also has a quiet side. Mykonos Chora is a labyrinth! 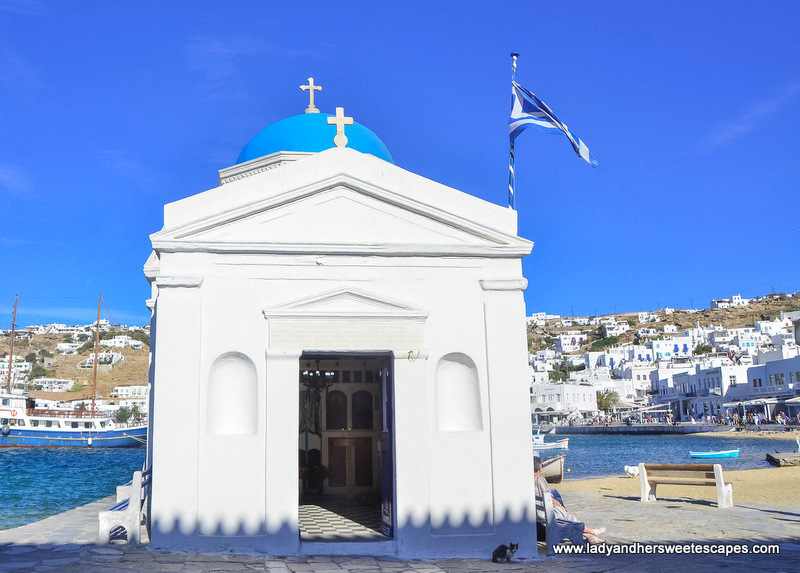 Find your way out to Little Venice to take a breather! Another magical sunset in the Greek islands. 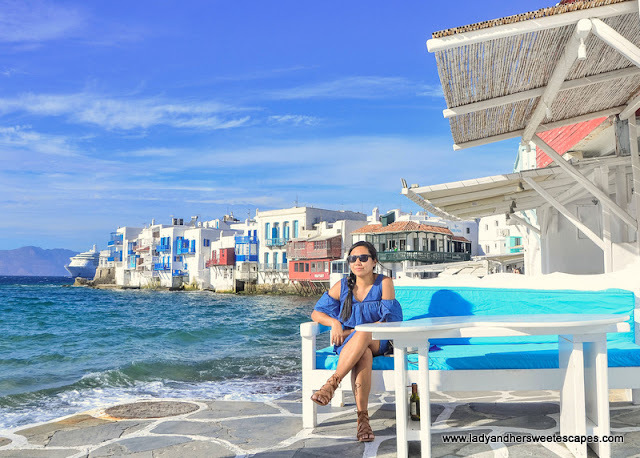 This time in Mykonos! 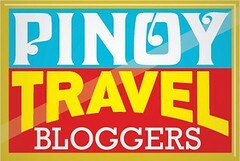 We chose this hotel because it is near the airport; convenient for our morning flight the next day! Bus X95 is available 24 hours! Wake up early to have Mykonos Chora to yourself! 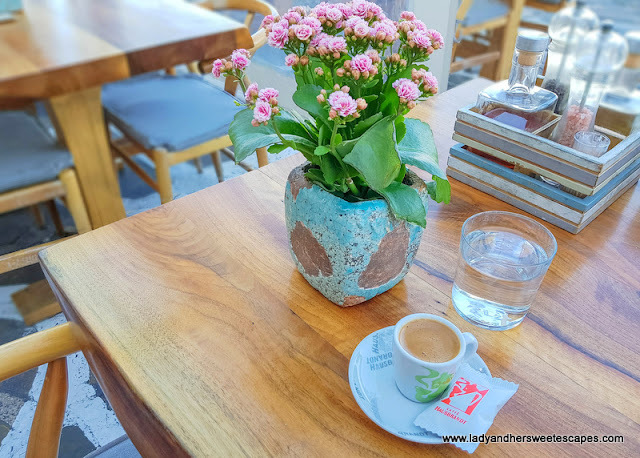 Mornings in Greece should start with a cup of Greek coffee! 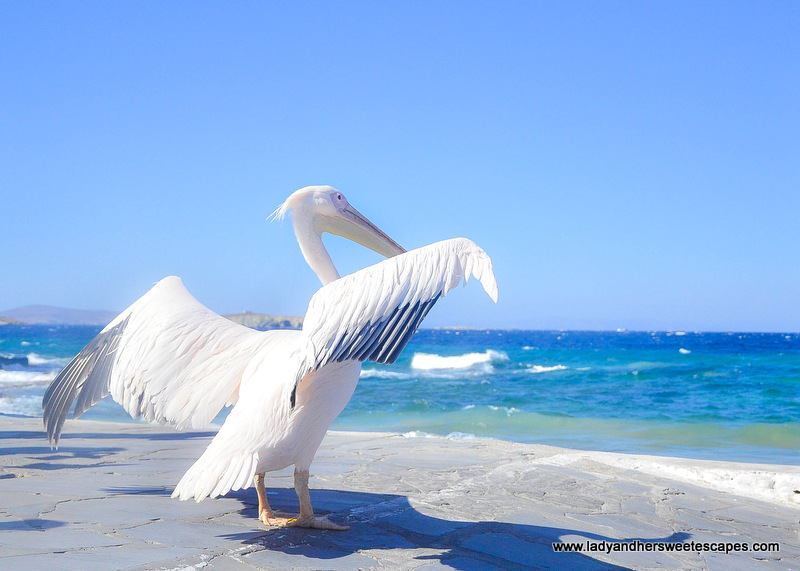 Want to know more about Mykonos? Day 8: Bye, Greece! Efharisto! 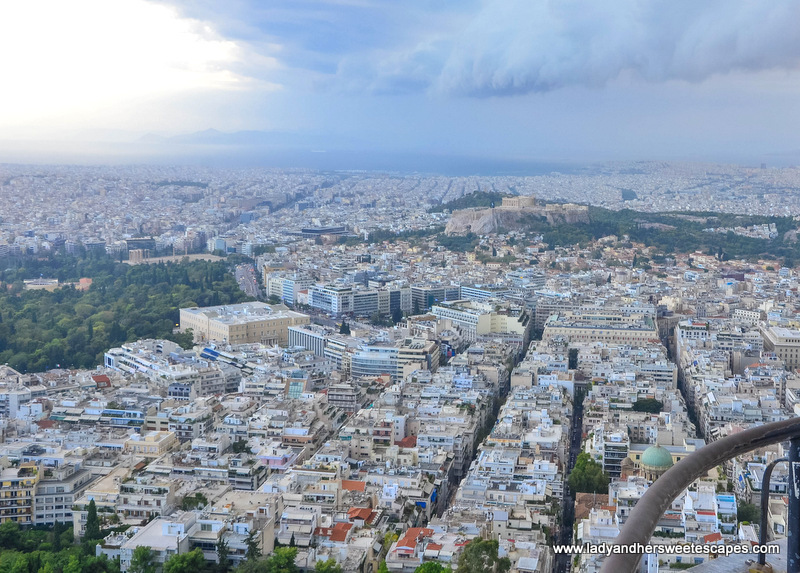 Greece has always held that special place in my Heart. The rich history and culture of this Place has attracted me since my school days! I was always day dreaming about the plans of visiting this place! Thanks to the Greece Visa team I Got the Visa with ease and now I am travelling to Greece!